WASHINGTON — The House Republicans’ health care bill adds up to big tax cuts for the rich. CLEMSON, S.C. — U.S. Sen. Lindsey Graham told a rowdy town hall in South Carolina that health care is going to change in the United States. Just don’t ask him for details. WASHINGTON — President Donald Trump warned Monday that the nation’s health care system was in danger of imploding and said Congress must make fundamental changes to the sweeping health law passed by his predecessor. CATLETTSBURG, Ky. — While the Affordable Care Act has brought health coverage to millions of Americans, the effects have been profound, even lifesaving, for some of those caught up in the nation’s opioid-addiction crisis. 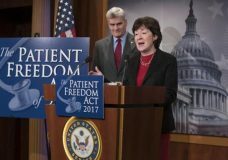 WASHINGTON — Two Republican senators said Monday that they’ll propose legislation that lets states keep former President Barack Obama’s health care overhaul or opt for a new program providing trimmed-down coverage. 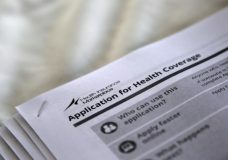 WASHINGTON — Insurance premiums would soar and some 18 million Americans would lose health coverage if Republicans partially repeal President Barack Obama’s health care law without a replacement, Congress’ nonpartisan budget office estimated Tuesday. WASHINGTON — Congress may be moving to repeal “Obamacare,” but millions of people are still signing up. 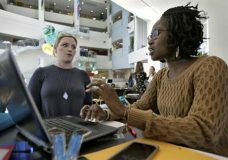 The administration said Tuesday that 11.5 million enrolled nationwide through Dec. 24, ahead of last year’s pace. 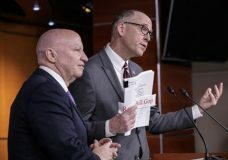 WASHINGTON — Lawmakers will act this year on bills not simply repealing President Barack Obama’s health care law but replacing it as well, House Speaker Paul Ryan said Thursday.